Fifteen years after a man died in an accident, his family got the compensation from the Supreme Court, which reversed the concurrent findings of the high court and the Motor Accidents Claims Tribunal that the accident could not be proved. 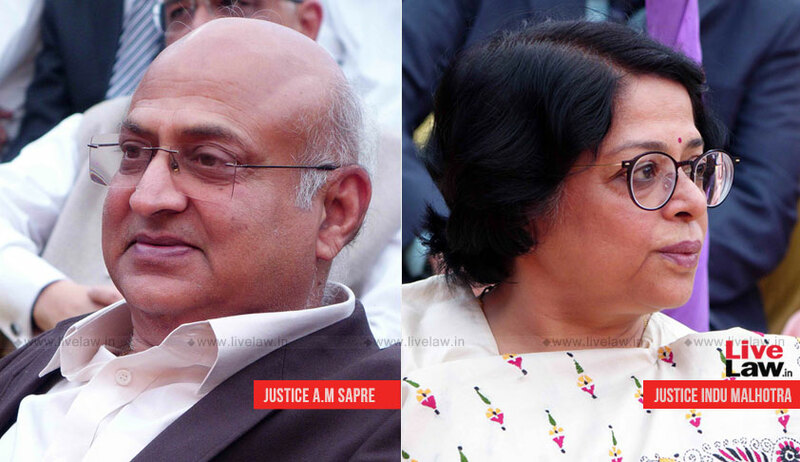 What more documents could be filed than the documents filed by the claimants to prove the factum of the accident, asked the Supreme Court bench comprising Justice Abhay Manohar Sapre and Justice Indu Malhotra while allowing an appeal against the dismissal of claim petition. Rajendra Prasad, who was then 25 years old, was travelling in a passenger bus. A truck dashed against the bus and he sustained grievous injuries resulting in his instant death. His wife Vimla Devi and children initiated proceedings, civil and criminal, including the claim petition before Motor Accidents Claim Tribunal. They filed before the tribunal all the documents like FIR, charge sheet, site plan, post-mortem report of the deceased, registration of Truck No., insurance coverage, mechanical inspection report, a copy of the notice issued to the owner under Section 133 of the Act etc. The driver and owner of the truck did not appear in the proceedings and remained ex-parte. Insurance company though filed a written statement, did not examine any witness. The claimants examined three witnesses from their side. MACT dismissed their claim holding that they failed to prove the accident, including involvement of offending truck, which caused the death of Rajendra Prasad. It further held that though the claimants filed the documents, since those documents were not exhibited, the insurance company could not cross-examine the claimants’ witnesses on the document. The high court dismissed the appeal filed by claimants and thus they approached the apex court. The bench observed that the documents filed in this case clearly established the identity of the truck involved in the accident, the identity of the driver driving the truck, the identity of the owner of the truck, the name of the insurer of the offending truck, the period of coverage of insurance of the truck and the details of the lodging of FIR in the concerned police station in relation to the accident. “In our view, what more documents could be filed than the documents filed by the appellants to prove the factum of the accident and the persons involved therein,” the court said holding that the claimants had adduced sufficient evidence to prove the accident and the rash and negligent driving of the driver of the offending vehicle, which resulted in the death of Rajendra Prasad. It also said that an adverse inference against both could be drawn against the truck owner and driver who did not appear in this case. The bench also noticed that insurance company also did not examine any witness and therefore the claimants who had examined three witnesses discharged their initial burden to prove the case. The court also reiterated that the Motor Vehicles Act is a beneficial piece of legislation enacted to give solace to the victims of the motor accident who suffer bodily injury or die untimely. The Act is designed in a manner, which relieves the victims from ensuring strict compliance provided in law, which are otherwise applicable to the suits and other proceedings while prosecuting the claim petition filed under the Act for claiming compensation for the loss sustained by them in the accident, it said. Allowing the appeal, the court said that the claimants are entitled to claim Rs 11,27,920 by way of compensation.